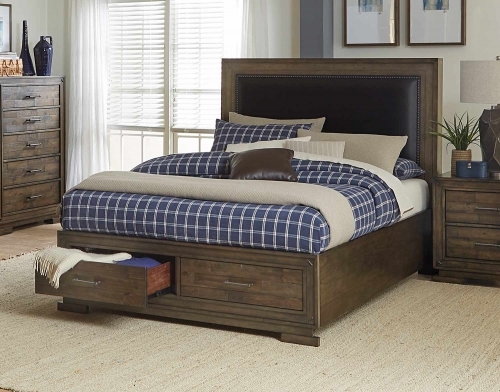 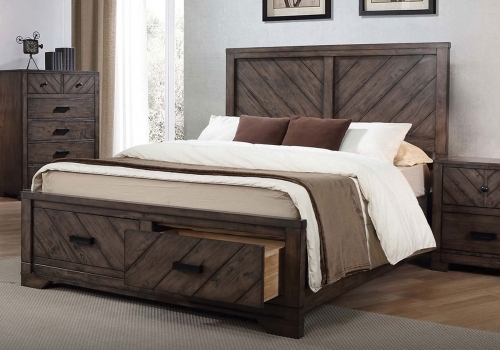 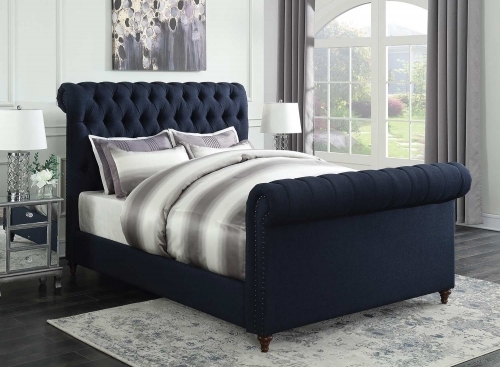 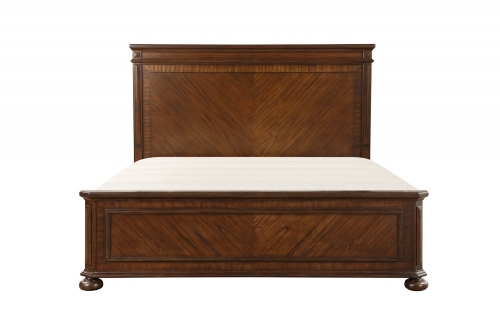 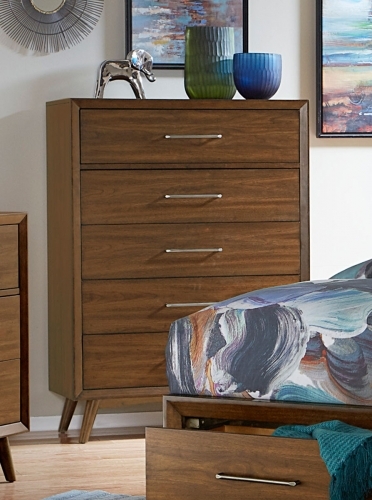 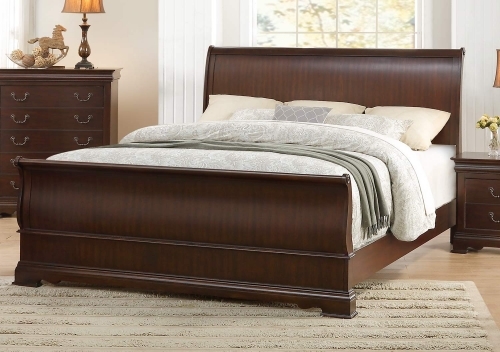 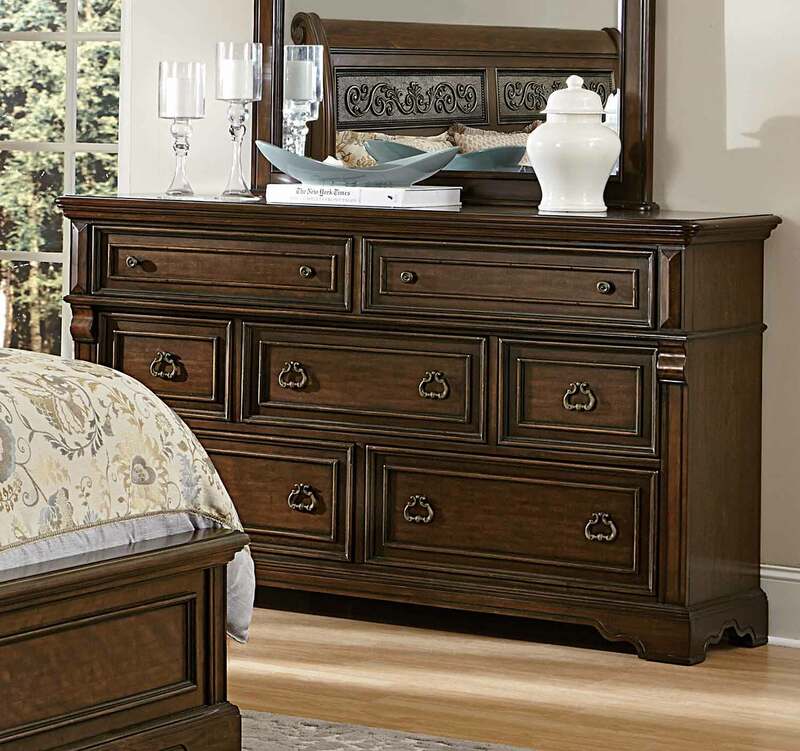 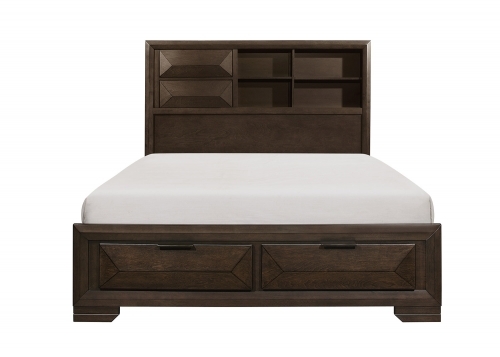 Introducing the charming Homelegance Calloway Park Collection to your home will provide a classic and functional addition to your bedroom sanctuary. 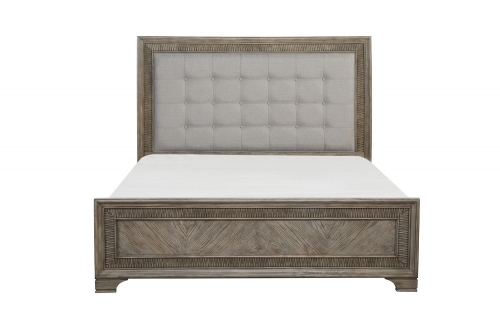 Serving as the focal point of the group is the distressed faux metal inserts of the headboard and mirror. 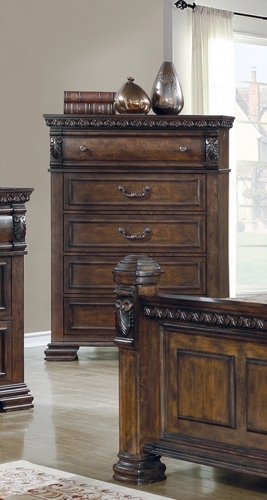 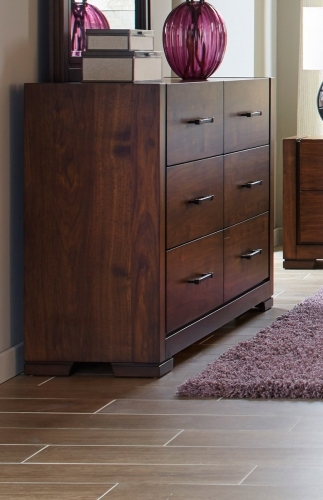 The rustic-elegant design offers a distinct contrast to the warm cherry finish of the collection. 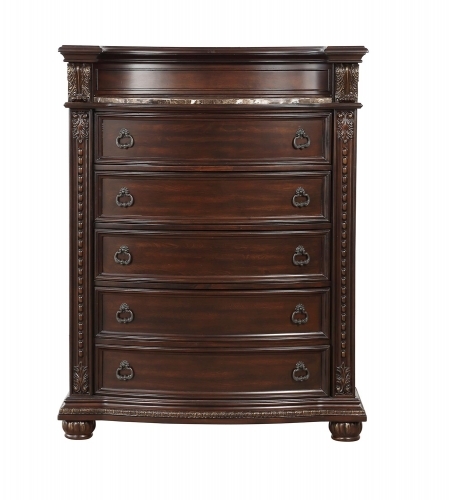 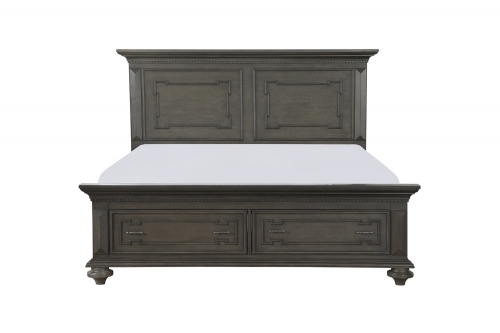 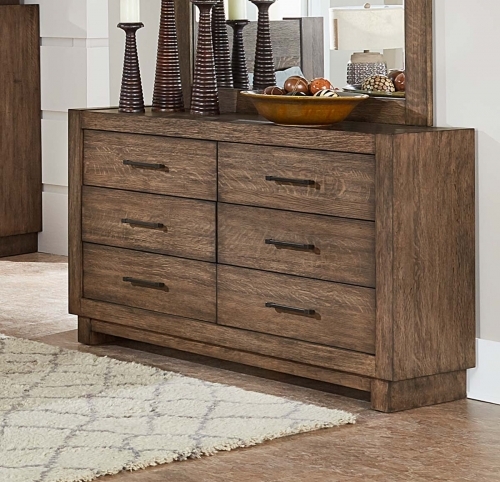 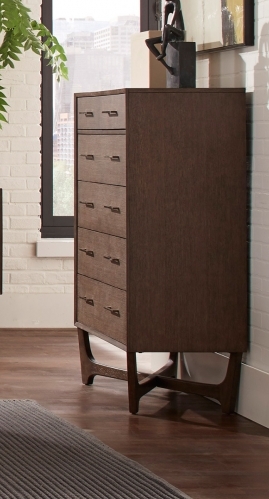 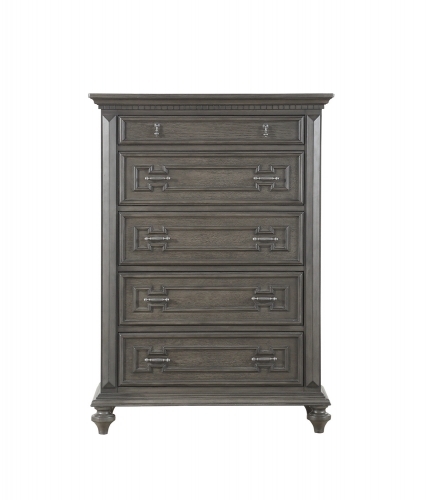 Oversized knob and pull hardware offer a stately punctuation to the case good drawer fronts in the Calloway Park Collection by Homelegance.